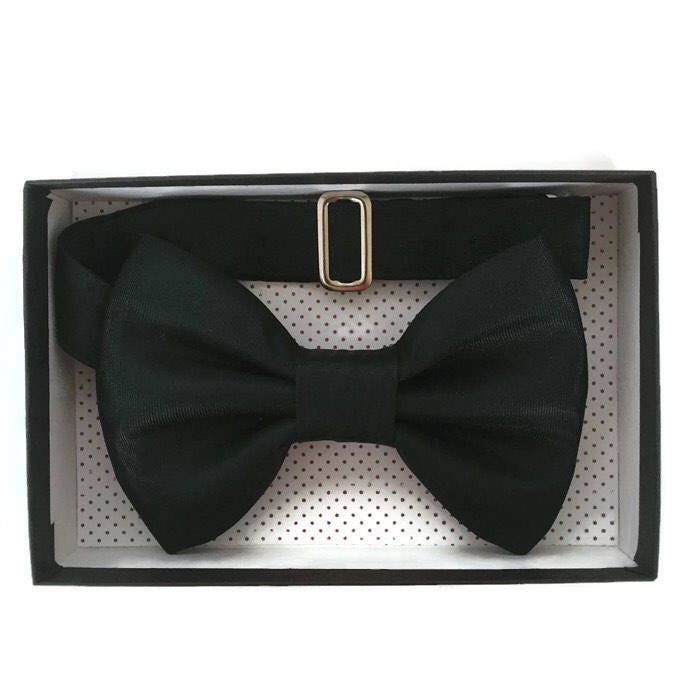 Stand out from the crowd wearing this high quality handmade bow tie. 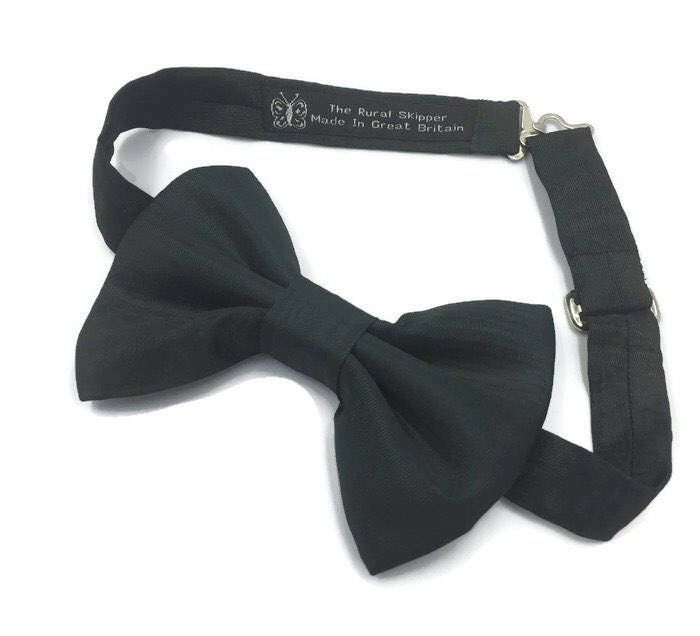 Individually sewn using traditional couture methods of tailoring which ensures this bow tie keeps its shape. 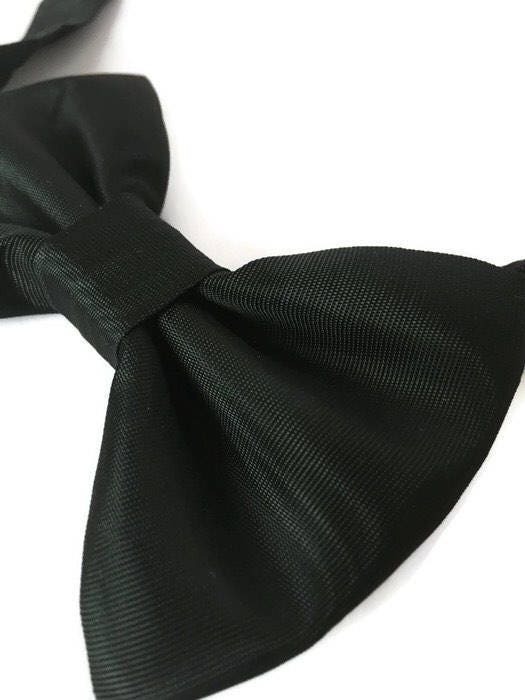 A perfect finish to any smart gentleman's evening outfit.
. attractively packaged in a coloured gift box.
. nickel bow tie clips.
. bespoke order requests welcome.
. dispatched within 1 to 3 working days from receipt of order/payment.
. Sent by Royal Mail, 1st Class (signature required on delivery).
. Approximate delivery within 3 days.
. 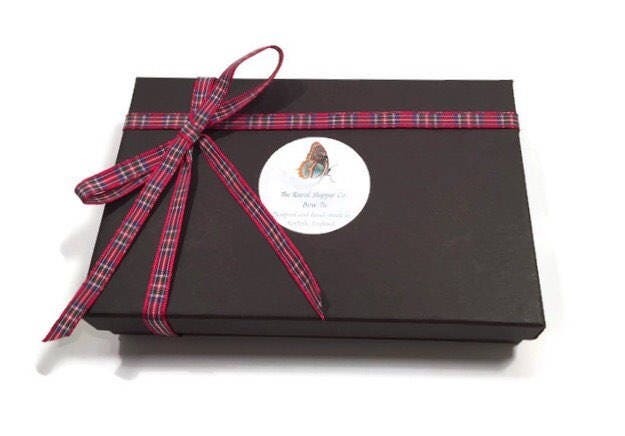 Sent by Royal Mail Tracked and Signed (signature required on delivery).
. Approximate delivery within 7 to 10 days.
. Approximate delivery within 1 - 2 weeks.
. Approximate delivery within 1 - 3 weeks. Faster methods of deliveries are available, if required. Costs can be arranged and discussed via an Etsy conversation. PLEASE NOTE: Goods sent outside of the UK may well be subject to import duties and taxes which will need paying before parcels will be released for delivery. I cannot take responsibility for any charges or delays that are incurred. Privacy and Data Protection Policy to comply with the General Data Protection Regulation (EU) 2016/679 (GDPR) as introduced into national law on 25 May 2018. The Rural Skipper Company is committed to protecting your privacy and ensuring that any information that we collect about you is protected from misuse. This Policy explains what information we collect, how and why we use it, how we keep it safe, and what your rights are. - we only keep your information for as long as necessary. - other information relevant to customer surveys and/or offers. - respond to a survey. rights, property, safety of our customers, or others. Our website may contain links to other websites of interest such as Etsy, Facebook, Instagram and Pinterest. However, once you have used these links to leave our site, you should note that we do not have any control over other websites. Therefore, we cannot be responsible for the protection and privacy of any information which you provide whilst visiting such sites and such sites are not governed by this privacy statement. You should exercise caution and look at the privacy statement applicable to the website in question. comply with our legal and regulatory obligations, to resolve disputes, and to enforce our agreements. Generally your data will be kept for a period of six years. We may store and process your information through third-party hosting services in the USA and other jurisdictions with different data protection and government surveillance laws. Will a signature be required on delivery? Yes, a signature is required on receipt. © 2019 The Rural Skipper.